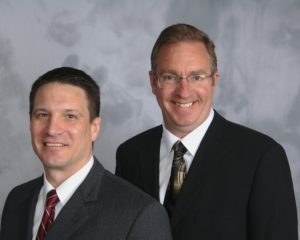 Dr. Jay Rumbaugh and Dr. Michael McCort of Rumbaugh Back In Action Chiropractic, bring more than 40 years of combined professional experience in practicing quality Chiropractic Care to Waynesburg. Good health is a state of complete physical, social and mental well-being, and not merely the absence of disease or infirmity. Health is a resource for everyday life, not the object of living, and is a positive concept emphasizing social and personal resources as well as physical capabilities. Dr. Jay Rumbaugh and Dr. Michael McCort share more than 40 years of combined professional experience! At our Rumbaugh Back in Action Chiropractic office we are passionate about helping as many people as possible achieve true health and wellness. We know that chiropractic care can not only help alleviate physical pains but can also allow a person to express their true potential. We believe this is the beginning of true health care – not just sick care. We look forward to serving the Greene County region with our expertise in Chiropractic Care. We are a community based practice that understands your needs. We give you the best treatment options in our convenient, friendly office through our network of specialists. Knowing our busy professional and community resident’s lifestyles, we can accommodate your schedule. We’re here to help and if you know someone who may benefit from our services, please feel free to refer them to our offices. We look forward to helping you. Copyright © 2019 Rumbaugh Back In Action Chiropractic. All rights reserved. The contents of this website are provided for informational purposes only and not intended to be a substitute for professional health diagnosis or treatment.